Honey Bee Attractant is a blend of selected pheromones identified by researchers to lure worker bees to potential food sources (flowers). 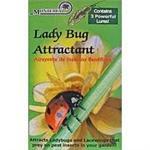 These are natural attractants often found in fruit and vegetable flowers and are non-toxic. Other products have been developed that must be sprayed on the crop more than once. 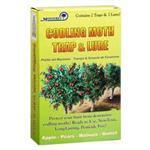 With Honey Bee Attractant, you simply hang one lure per large fruit tree or 1/200 sq.ft. in garden at the start of bloom. Attraction will last for 2 weeks. With this bee lure, there is no messy sprays or cleanup, you do not need to reapply if bloom lasts 2 weeks or less, there is no worry about reapplication if it rains 1-3 days after spraying, you don't have to worry about getting spray in your eyes, on your skin, or ingesting it. 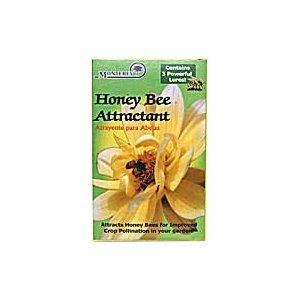 Would you like to see the Honey Bee Attractant Label? 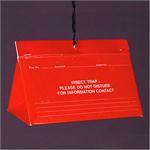 How about the Honey Bee Attractant MSDS sheet?